There are many risk factors in terms of what causes strokes, but you can reduce your risk with a healthy lifestyle and hypertension control. Research indicates that strokes among U.S. millennials—ages 18 to 34—have increased significantly in recent years. 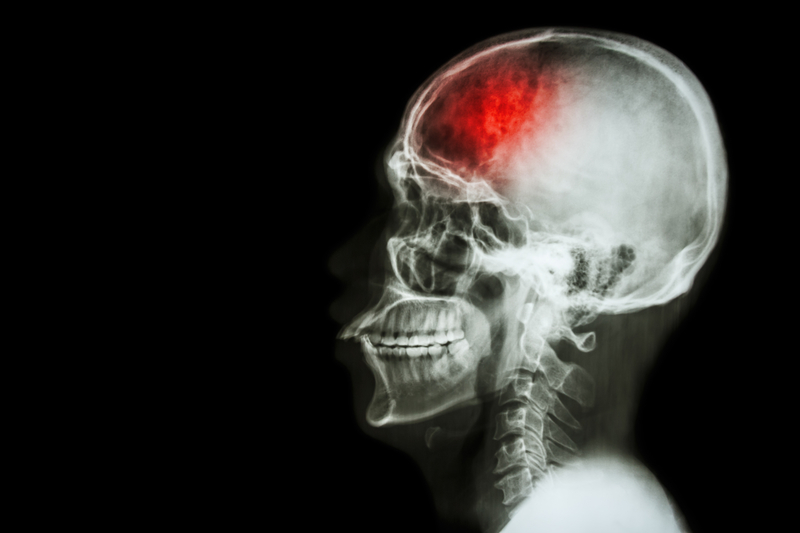 A stroke occurs in the brain, but it can affect your body from head to toe. 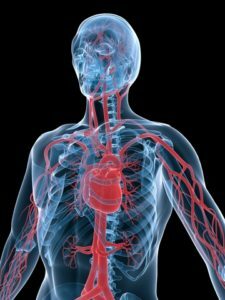 What causes strokes is a partial or total interruption of the blood supply to your brain. Suffering a stroke can be fatal, or it can cause brain damage, paralysis, and other complications. Certain risk factors are involved in 90 percent of strokes. Addressing these factors with medications and lifestyle changes can lower the risk and also blunt the effect of other risk factors that are specific to women, including the use of oral contraceptives and hormone replacement therapy. The keys to reducing your stroke risk include making healthy lifestyle choices, combined with using medications appropriately for any health conditions you have. 1. Choose an eating pattern that supports heart and artery health. Diets that are high in sodium (salt) increase stroke risk; so do diets that are low in fruits (particularly citrus) and vegetables. A Mediterranean-style diet, which contains plenty of whole foods such as legumes, fruits, vegetables, fish, olive oil, and nuts, has been shown to lower stroke risk. Foods and beverages high in added sugar, including soft drinks, many bottled tea, coffee, and fruit drinks, candies, and desserts. 2. Get and stay physically active. Physically active women have a 25 to 30 percent lower risk of stroke than inactive women. Guidelines recommend moderate-to-vigorous aerobic activity for 30 or more minutes a day on five or more days of the week. Choose activities that you enjoy; for example, if you’ve previously joined a gym but didn’t stick with it, try another approach. Remember that any activity that gets your heart rate up and keeps it up will be beneficial. If you enjoy socializing and you’d like to meet some new people, join a women’s walking group, a tennis club, or a dance class, and check online or in your local newspaper for upcoming events. 3. Control blood pressure, cholesterol, and blood glucose. Following a healthy, balanced diet (see #1) and getting regular physical activity (see #2) will help you lower your blood pressure, your total and LDL cholesterol, and your blood glucose level. However, for many people, medication is also necessary to get their numbers to healthy levels. The most important strategy with medication is to take it exactly as it’s prescribed. If you have troublesome side effects, report them to your doctor and investigate what other options are available, but don’t give up on medication altogether. It’s also critical to have regular follow-up visits with your doctor so he or she can monitor your progress and determine if your medication needs any adjustment. If you cannot afford your medication, tell your doctor; he may have samples or coupons. For information on patient assistance programs, go to needymeds.org. Some medications are provided free or at low cost by the pharmaceutical companies. 4. Get treatment for atrial fibrillation (AFib) and any other cardiovascular conditions. Having AFib, an irregular heart rhythm, can increase the risk of stroke by as much as 500 percent. If you have AFib, follow your cardiologist’s instructions. The same recommendation applies if you have any type of heart or vascular disease and/or you’ve previously had a heart attack or a transient ischemic attack (a mini-stroke). Once again, being physically active and choosing healthy foods should be included in your treatment program. 5. If you’re overweight, lose some weight. If you struggle with your weight and you’ve repeatedly tried to lose weight without success, see a doctor or a registered dietitian nutritionist who specializes in weight loss. Getting professional help is often more effective than going it alone. Depending on your weight, your insurance may cover weight-loss treatment; ask your doctor to help you find a provider or program that can provide you with the information, strategies, and ongoing support you need to succeed. 6. If you smoke, quit. The more cigarettes you smoke, the higher your risk of stroke. If you’ve been smoking for decades, quitting now will still provide significant health benefits. Don’t go it alone; ask your doctor for a referral to a smoking cessation program, and utilize free programs (go to https://smokefree.gov) that are available to help you quit. It’s true that making these changes may be challenging—but it’s nowhere near as challenging as adapting to the changes a stroke will cause in your life. When you have difficulty passing up that cheeseburger, taking that medication, or getting outside to take that walk, remind yourself that you are reducing your chances of having long-term disabilities, and you may even be saving your own life. a heart attack, aerobic activity, afib, artery disease, atrial fibrillation, balanced diet, blood glucose level, blood pressure, blood pressure high, brain, brain damage, cardiovascular, cardiovascular disease, cardiovascular health, cholesterol, coffee, control blood pressure, coronary, coronary artery disease, dance, diabetes, diet, dizziness, exercise, foods to avoid, glucose, having high blood pressure, health, healthy balanced diet, healthy lifestyle, heart attack, high blood pressure, high cholesterol, hormone, hormone replacement therapy, ldl, ldl cholesterol, Lose Weight, lower your blood pressure, mediterranean style diet, milk, mini stroke, Nursing home, nuts, peripheral artery disease, physical activity, refined grains, registered dietitian nutritionist, report, severe headache, side effects, smoking, smoking tobacco, stroke, stroke risk, stroke risk factors, sugar, tobacco, vascular disease, vegetables, yogurt.